As blogging has become more and more important in a number of different industries it has also became a lot more popular. It's so easy to start up a blog and I think it is a really good hobby for everyone to try! However I think that everyone should be safety-conscious when blogging. I think it is easy to forget that the internet is a big scary place, especially because blogging (by nature) is quite a personal experience. Because of this, I think that people who are underage (under 18) should really consider their options when they are thinking about starting a blog. Please note, what I am saying here also applies to a lot of other things- whether it is social media (a lot of underage people have public Instagrams, which also show their Snapchat/Kik name but that's another issue), blogging, YouTube etc! I know this kind of goes without saying but there are weird people on the internet, and when you are a minor you probably don't want to put yourself out there too much. I have personally experienced a bit of a weird people occurrence which really made me feel uncomfortable. As you probably know I post a lot of outfit posts, and I used to post a lot of things featuring the brand Black Milk Clothing. I found out that I was getting a lot of referring links from an adult (eek) site, who had stolen my copyrighted photos. I was understandably not best pleased and managed to get them removed. This experience made me feel icky and uncomfortable about posting photos of myself (where I'm fully dressed), and I would like to think of myself as pretty tough. If this was to happen to me when I was significantly younger / underage and if there was nasty things being said about me I would have felt 100 times worse. I think we all forget how often our location can be shared on blogs, YouTube and social media- a biggie is Instagram! Be so, so careful when it comes to sharing your location- especially when it comes to your school or home location. Before becoming a blogger, think about what you want to put out there into the big wide world. It is really hard (if not impossible) to remove things from the internet, so bear that in mind before you press that botton! Consider having a private blog - On blogger you can write a private blog, and only approved people can read it. This is a really good option for younger people! In fact, my family has a private family blog where we can keep up to date with each other. Anonymously blog - You could improve your writing skills by blogging anonymously or write about a subject other than your lifestyle or personal style. Don't share photos of yourself - Your appearance is one of your most personal things! Don't share it around if you are young! Be careful about your location - See above! Don't share pictures in your school uniform - This sounds obvious but I always see so many young people (usually girls) who share picture of themselves in their school uniforms, in a geo-tagged post on their public Insta profile! 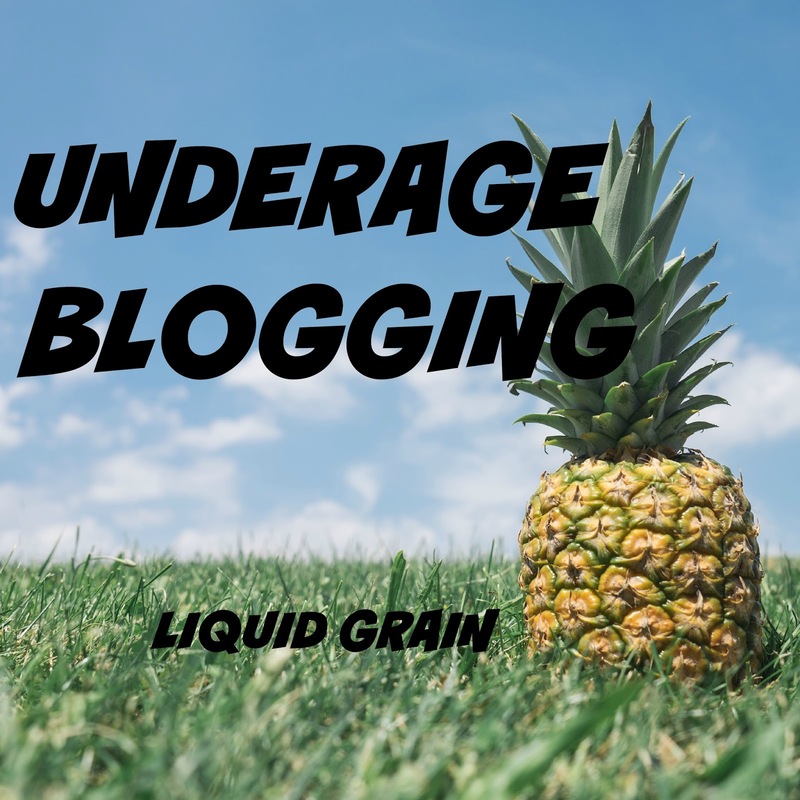 Tell your parents or an adult that you're blogging - JUST IN CASE! Please! Share your blog with your parents - Show them what you are doing, put their minds at rest and maybe they can come up with ways to improve your content or your safety. Think before you post - See above! Sorry for the rather mumsy worried post today, but I am a bit of a worrier! I hope noone finds this condescending / patronising or too disagreeable. If you have any tips for underage bloggers, please leave them below! It all perfectly sensible advice for the young bloggers, which also applies to grown-ups. These are relevant, sensible advice for all bloggers. Too many underage bloggers around nowadays. Thank you, it can be really worrying!